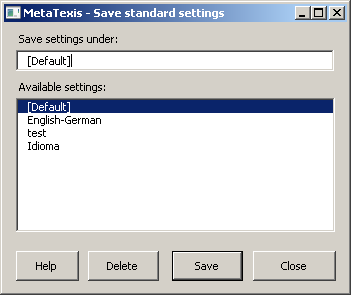 Via the Save standard dialog box, you can save a group of standard settings on the computer so that they are available for other documents. 1. Enter a name in the Save settings under text box. 2. To save the settings under the specified name, click the Save button. 1. Select a standard setting in the list of Available settings.